Xuereb, L.Silva Lopes, K. Mercieca, C. Hili, Al. 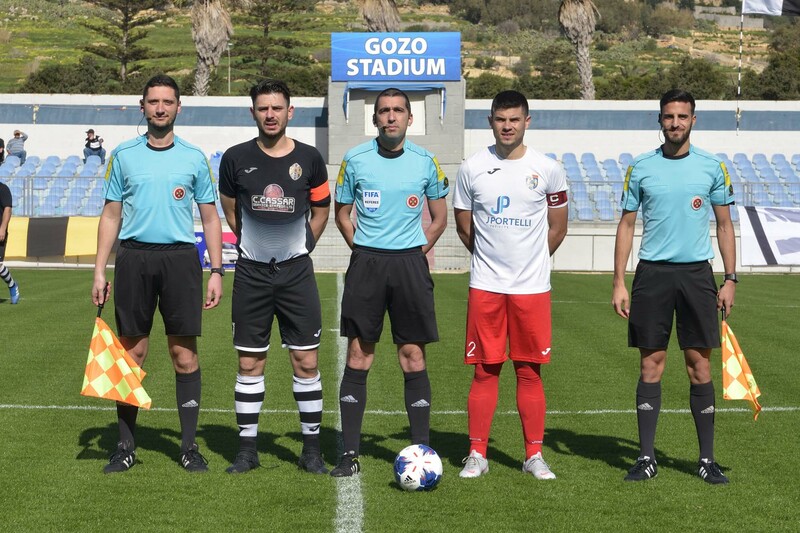 Xuereb, N. Damba, D. Mercieca, A. Camilleri, K. Grima, A. Oularbi (J. Tabone), L.A. De Melo Lima. 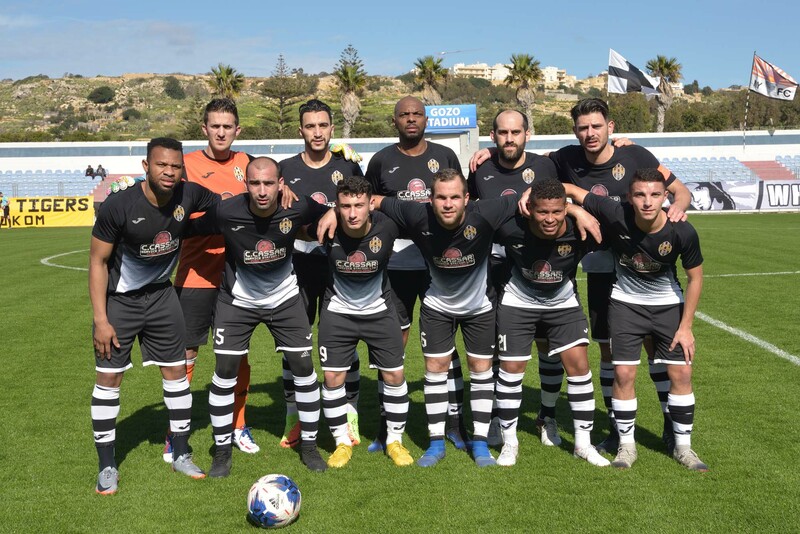 J.P. Cassar, K. Borg, C. Bugeja (P. Parnis), C. Debono (S. Muscat0, J. Grima, O. Curmi (S. Dimech), D. Martins De Souza, J.J. Sandobal Guarin, G. Muscat, B. Polo Longarela, A. Ademilua. Ghajnsielem recovered from a difficult stretch of disappointing performances and results with a 3-2 win over Munxar Falcons. With the points obtained Ghajnsielem regained the fourth spot on the table and opened a good lead over the three teams at the lower part of the table including the Munxar. The match was quite interesting during the first hour of play but Ghajnsielem imposed their superiority during the last third of the encounter and ended up obtaining a deserved win. For this match Munxar gave a debut to Brazilian striker Diego Martins De Souza who marked his first match in Gozitan football by scoring the two goals for his side but the main protagonist of the match was Ghajnsielem’s striker Luis Andre De Melo Lima who scored the three goals for the Blacks and also moved closer to the top positions in the top scorers table for the top flight in Gozo. Ghajnsielem had a good start and opened the score in the fifth minute when Antoine Camilleri released Luis Andre De Melo Lima inside Munxar’s area and the latter netted with a low drive. 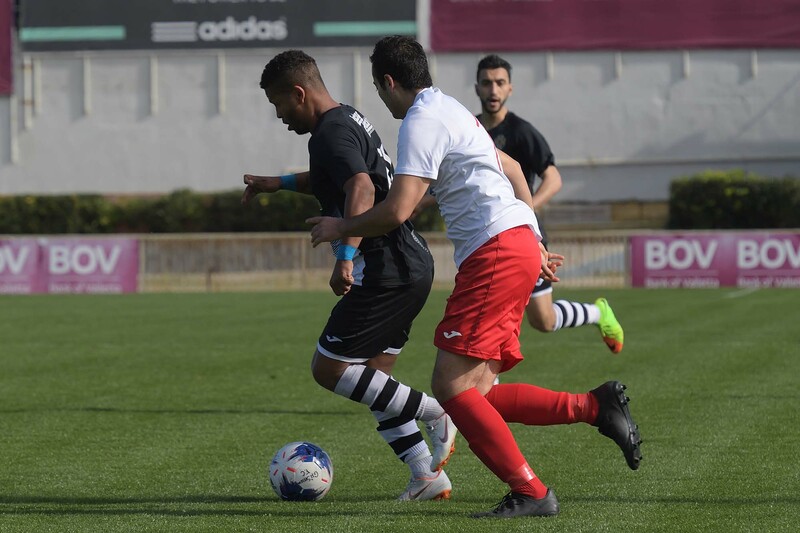 Munxar had an immediate reaction and levelled the score on 12 minutes from a penalty, awarded for a foul by Kenneth Mercieca on Borja Polo Longarela and converted by Diego Martins De Souza. Munxar could have turned the result in their favour one minute later but Oliver Curmi’s shot from the edge of the area ended wide. However, as time passed by Ghajnsielem managed to produce more offensive play. On 27 minutes a shot by Ali Oularbi from outside the area ended high and three minutes later Naby Damba had an attempt from a good position that ended away from Munxar’s goal. 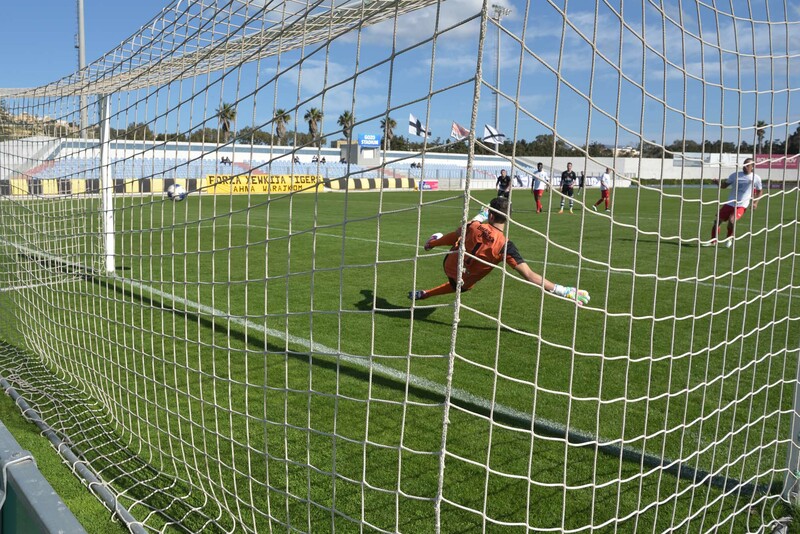 On 32 minutes Munxar protested for a penalty when Diego De Souza ended on the floor in the area while following an action by Borja Polo Longarela but at the end the ball arrived to Christian Debono who concluded weak from close distance and Ghajnsielem’s goalie Lorjean Xuereb neutralised the danger. 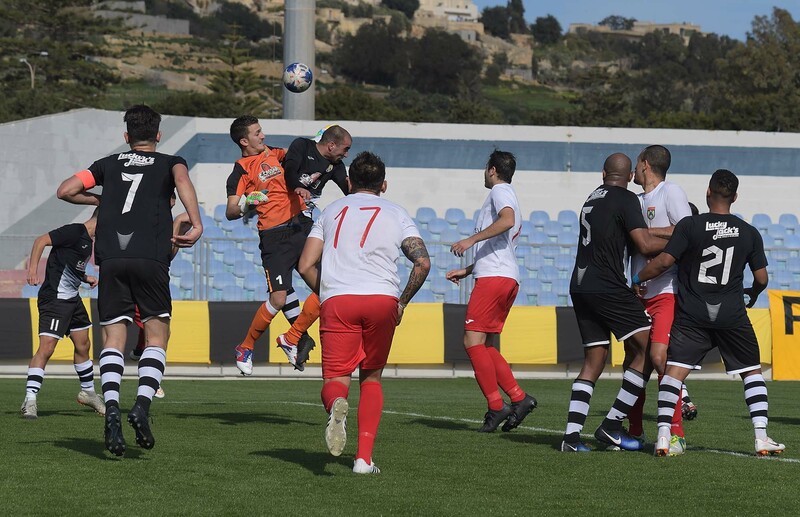 The same goalie was called to make a good intervention when he left his position to take the ball before Christian Debono could conclude towards goal. 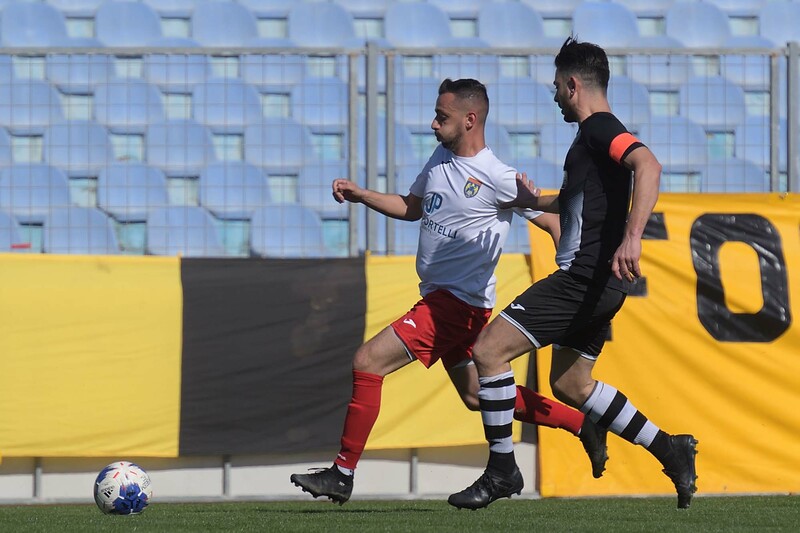 Ghajnsielem regained the lead on 42’ when Luis Andre De Melo Lima passed to Kenneth Mericeca inside Munxar’s area from a corner kick by Alberto Xuereb. Munxar’s defender blocked the danger but the ball arrived again to Luis Andre De Melo Lima who fired in goal from close distance. Munxar went close to level the score on 44 minutes but Ghajnsielem’s central defender Dylan Mercieca made an important intervention to clear the ball to a corner to deny Diego De Souza from concluding from close distance. Munxar came out more aggressive for the second period and on 52 minutes Borja Polo Longarela entered Munxar’s territory with a personal action but had his shot blocked by goalie Lorjean Xuereb. In the following action a shot by Diego De Souza ended wide and on 55 minutes later an attempt by Adebayo Ademilua following a corner kick by Joseph Grima ended high. Ghajsnielem replied on 62 minutes when Antoine Camilleri passed to an unmarked Naby Damba who entered the area but concluded badly when he was in a good position. Munxar’s reaction in the following minutes became sterile while Ghajnsielem found more space within Munxar’s territory to manoeuvre and on 65 minutes the Blacks were unlucky as a strike by Naby Damba, after receiving from Luis Andre De Melo Lima, was topped by the crossbar. One minute later the same De Melo Lima had a shot from a good position that was turned to a corner by goalie John Paul Cassar and on 69 minutes Ghajnsielem lost a good opportunity to add another goal when the strikers failed to conclude a prolonged action inside Munxar’s area and at the end a low shot by Ali Oularbi was deflected in the net by Antoine Camilleri but the goal was disallowed for an offside position. Ghajnsielem continued to created good scoring opportunities and on 76 minutes Charles Hili released Luis Andre De Melo Lima but the latter hit badly from very close distance and the goalkeeper saved the danger without difficulty. Ghajnsielem were rewarded for their efforts four minutes later and practically made sure of the three points by scoring the third goal that arrived through a tap-in by Luis Andre De Melo Lima following an inviting low pass by Naby Damba who entered the area with a personal action from the left flank. Munxar replied on 82 minutes but a header by Adebayo Ademilua from a corner kick by Joseph Grima ended high. Three minutes later the referee stopped play as Luis Andre De Melo Lima was concluding in goal since there was a second ball inside Munxar’s area and on 89 minutes Munxar reduced the score by scoring their second goal through Diego Martins De Souza who headed in goal a cross from the right flank by substitute Paul Parnis. 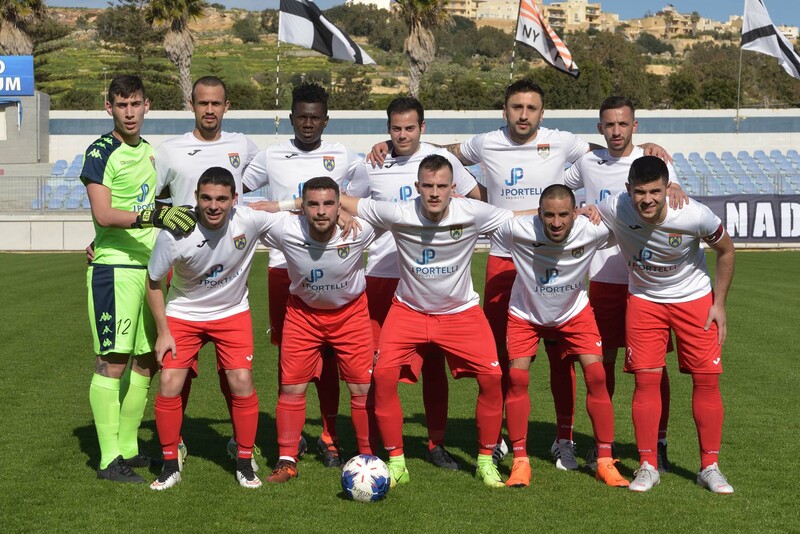 In the second minute of stoppage time Ghajnsielem went close to score another goal but a free kick by Naby Damba was saved to a corner by goalie John Paul Cassar and from the same corner action a header by Leandro Da Silva Lopes ended on the roof of the net.